For #Five2Watch we've selected five artworks by Axisweb members that have explored collaboration. Including: Marcus Jefferies, Anna Keleher, Colin Higginson, Natalie Ramus and David Wightman. A multi media installation exploring the rapid development of urban space in the city, the visual language of gentrification, and the selling of luxury lifestyles. 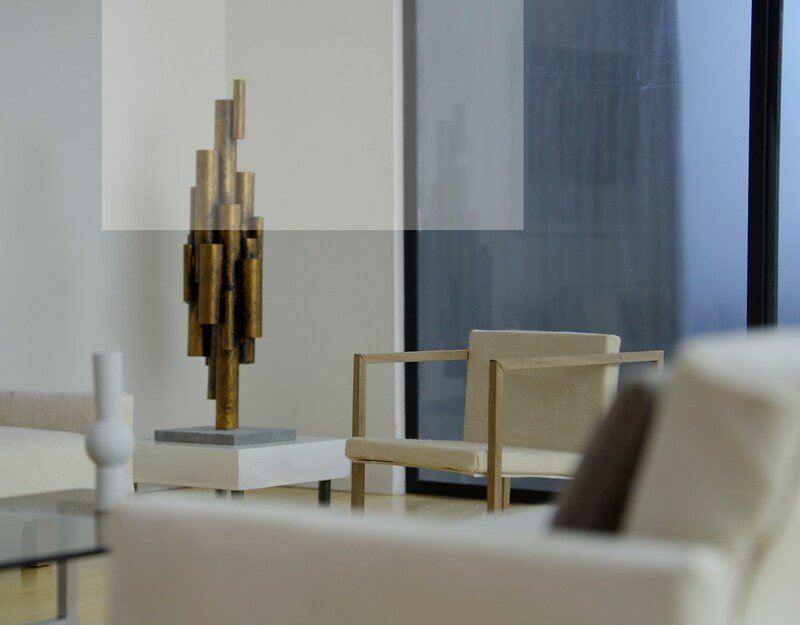 Through constructing and photographing a model, based on a generic modern apartment, we have created an artificial environment. Specially designed objects and artworks inhabit the fictitious room while their life size facsimiles occupy the exhibition. These sculptures test the boundaries between what defines a contemporary sculpture and a desirable consumer object. 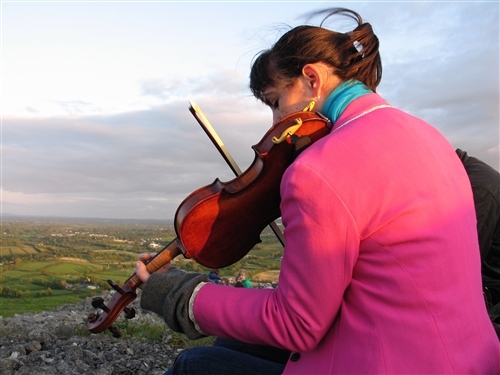 Speaking as violin is the result of a collaboration between Anna Keleher, Claire Coté and artist/musician Susan Hughes and was recorded during DREAMING PLACE research project in N.Ireland/Eire. It is part of an on-going series in which people are invited to speak as an " object" they work with. The Rules of Exchange develops our interest in recording the way we work together in our collaborative practice. 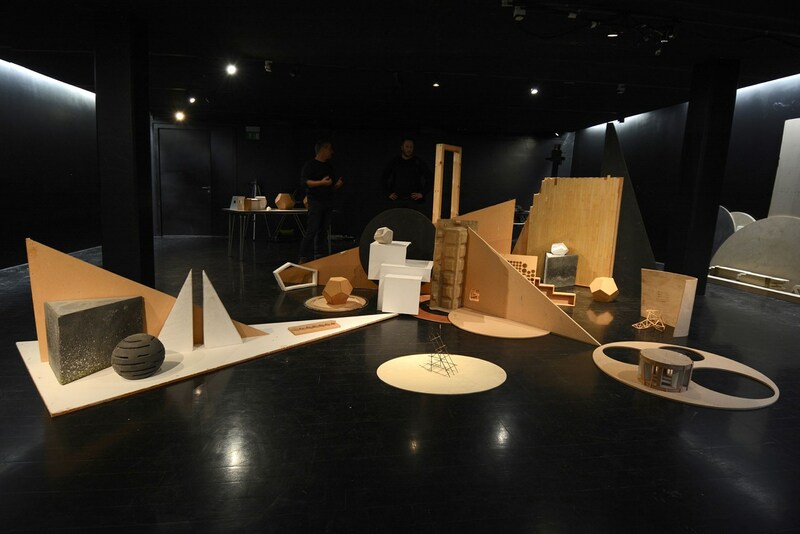 Taking place over four days in the dark space gallery at the Arnolfini Bristol, multiple installations were assembled and disassembled from imported studio materials, parts of old work, unrealised models, prototypes and discarded sculpture. These working sessions were recorded at regular intervals in film, photography, animation and by written documentation. The constructing of the work could be viewed by the public on a live feed from outside the gallery, and at certain times the space would be opened up for discussion. Natalie and Lisa have since completed their MFA studies and no longer share a work space. GWAITH is a durational performance which will be shown as part of the Cardiff Contemporaries exhibition. Ramus|Evans will explore the tension and support that comes with working relationships. 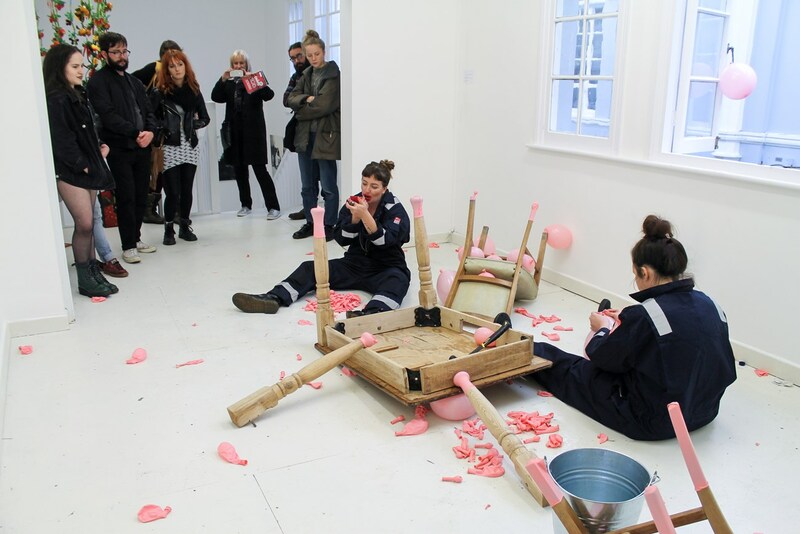 Contained within a confined space over a series of days with minimal materials, repetitive actions will take Ramus|Evans on a journey through the ritual and madness of mundane labour. By taking the ritual of the workplace into the gallery they will ask the questions; When does the artist stop making art? And where does the performance end? Performed over 5 hours as part of Cardiff Contemporary 2016. Akris and David Wightman have recently collaborated as part of the Akris Punto Fall / Winter 2014/15 collection. The mountain print featured in the new collection was inspired by David Wightman's painting 'Lorelei'. Akris is an independent family-owned fashion house established in 1922 in St. Gallen, a Swiss town renowned for its longstanding tradition as the heart of the country's textile industry. Brothers Albert and Peter Kriemler are the third generation to lead the business. In addition to flagship boutiques in major cities throughout Europe, the United States, and Asia, Akris is available internationally in over 600 high-end department stores and fashion emporiums.